You may have your go-to weekend uniform like us—jeans, a tee, and sneakers. While there's certainly nothing wrong with that (it's a classic! ), some of our favourite bloggers are showing us other creative ensembles for that Saturday brunch or stroll through the park. Keep scrolling to check out nine easy looks to copy this weekend and shop inspired items too! On Eadie: Mansur Gavriel Saffiano Large Bucket Bag ($625); Tory Burch ‘Miller’ Flip Flop ($195); Lisa Marie Fernandez dress. On Bernstein: Free People Vintage Bandana ($18). 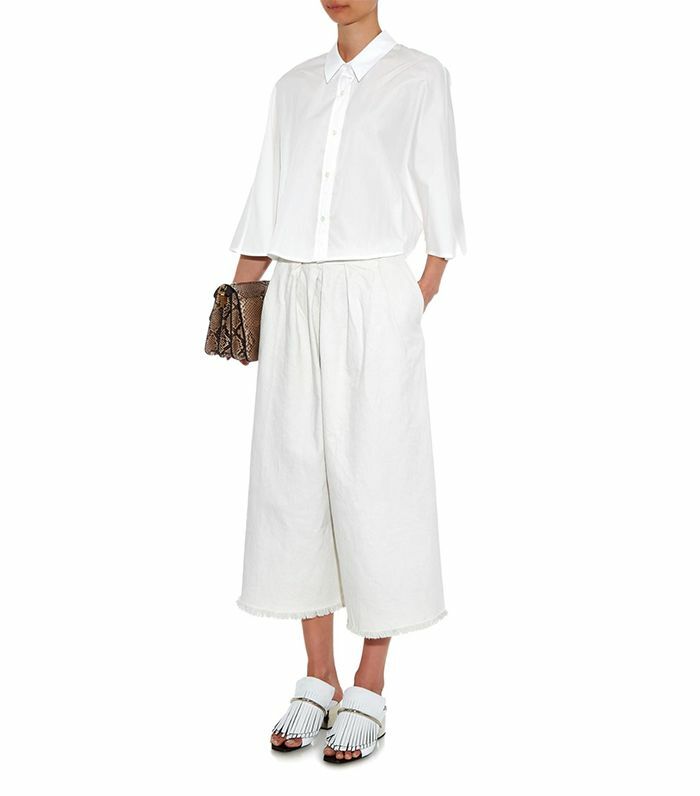 On Suarez: Zadig & Voltaire Trone Deluxe Shirt ($410); Free People Yard Stripe Mod Crop ($98); The Sabah Dealer shoes. On Mason: Charlotte Olympia Kitty Flat ($645); Eloquii Elbow Sleeve Scoop Neck Tee ($40). On Engel: Soludos Lace Up Espadrille Flats ($75); Figue Tuk Tuk Embroidered Bag ($486); Thierry Lasry Sexxxy Sunglasses ($435); Urban Outfitters dress. On Mercedes: Line & Dot Biscos Crop Top ($125); Kendra Scott Grady Bracelet ($45); Need Supply shoes. On Ferragni: American Apparel The Print Lulu Crop Top ($42); Céline bag and wedges. On Pesch: Heartloom Zavier Dress ($119); Chloé Gala Leather Bucket Bag ($1350). 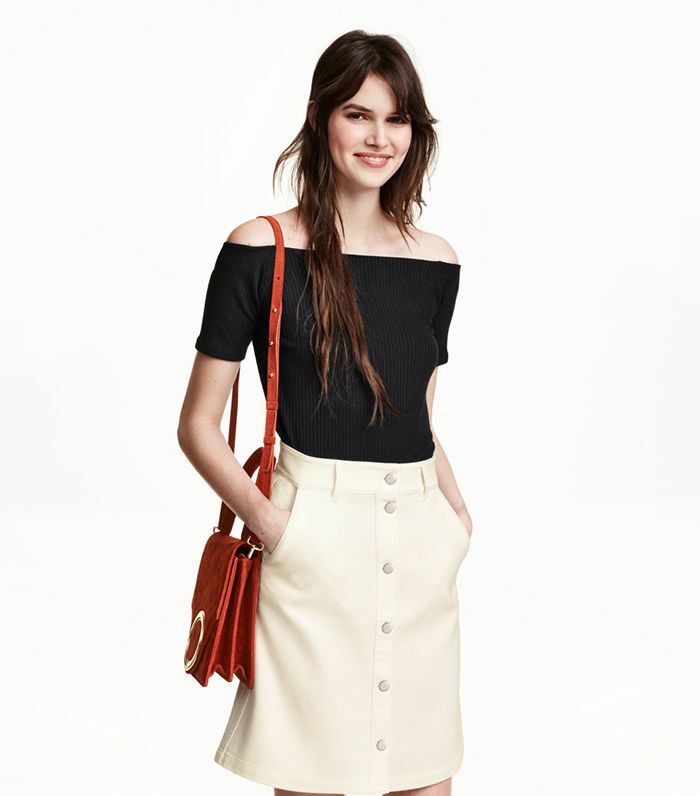 On Song: Madewell Province Tee ($60) in Ikat Bloom; Topshop Kingdom Snake-Effect Pointed Flats ($105); Mango suede skirt. What's your favourite outfit? Let us know your thoughts in the comments below!